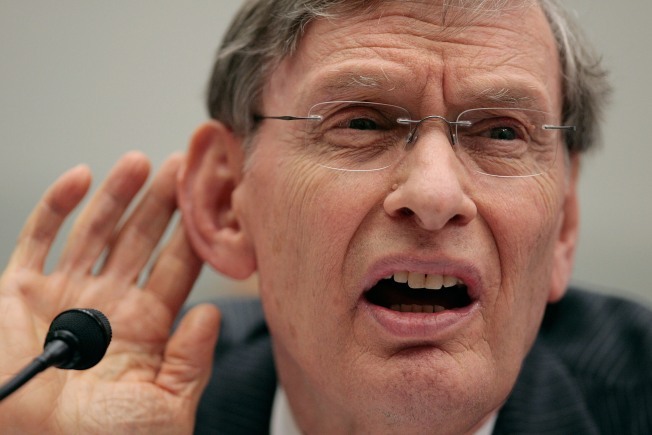 Bud Selig can't hear criticism. Major League Baseball commissioner Bud Selig is ignoring calls to move next year's All-Star game from Phoenix because of Arizona's new immigration law. Asked about such demands at a news conference in Manhattan on Thursday following an owners meeting, he responded with a defense of MLB's minority hiring record. "Apparently all the people around and in minority communities think we're doing OK. That's the issue, and that's the answer," he said. "I told the clubs today: 'Be proud of what we've done.' They are. We should. And that's our answer. We control our own fate, and we've done very well." Chicago White Sox manager Ozzie Guillen said he wouldn't participate in next year's All-Star game if it remains in Arizona because of the law, which empowers police to determine a person's immigration status. The Major League Baseball Players Association condemned the law and New York congressman Jose Serrano, whose district includes Yankee Stadium, sent Selig a letter asking him to move the game. Selig cited sports sociologist Richard Lapchick, whose annual report from the University of Central Florida's Institute for Diversity and Ethics in Sports last month gave MLB an A for race and a B for gender hiring. Selig also referenced a lifetime achievement award he received in March from the Jackie Robinson Foundation. "We're a social institution. We have done everything we should do — should do, our responsibility," he said. "Privilege to do it. Don't want any pats on the back, and we'll continue to do it." Meanhwile, Arizona business leaders urged Selig to not move the All-Star game from Phoenix. Leaders of the Arizona Chamber of Commerce and Industry, the Greater Phoenix Economic Council, the Arizona Hispanic Chamber of Commerce and 10 other groups on Thursday released a letter in which they ask Selig to not take a position against the state by moving the game. The letter says a relocation would cost jobs for "innocent citizens, including our Hispanic community," and it says MLB shouldn't become "a pawn in a political debate."